Store items such as dishes, placemats, and silverware in the base of this table. Since they’re located right in the table, you don’t even have to get up to reach for those dining essentials! This is also a benefit because it opens up room in your cupboards and pantry for other dining essentials. Freshen up your dining room or breakfast nook with this counter height table set. For seating, the set includes four ladderback stools with plush upholstered seats. Perfect for smaller or larger groups, the table has one leaf extending the length of the table from 60 to 80 inches. The table rests on a large pedestal loaded with features such as wine bottle storage and storage doors. The Colorado Counter Height Dining Set with Built-in Storage by Elements International at Miskelly Furniture in the Jackson, Pearl, Madison, Ridgeland, Flowood Mississippi area. Product availability may vary. Contact us for the most current availability on this product. 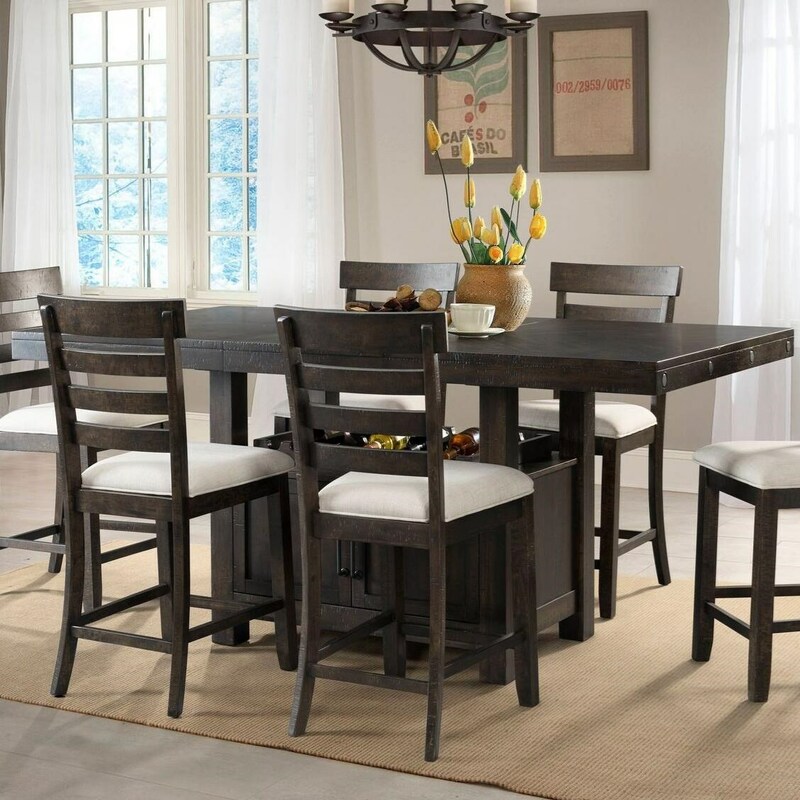 Update your dining room or breakfast nook with this counter height dining collection. The stools and counter height bench have plush upholstered seats. The Colorado collection is a great option if you are looking for Transitional Casual furniture in the Jackson, Pearl, Madison, Ridgeland, Flowood Mississippi area. Browse other items in the Colorado collection from Miskelly Furniture in the Jackson, Pearl, Madison, Ridgeland, Flowood Mississippi area.